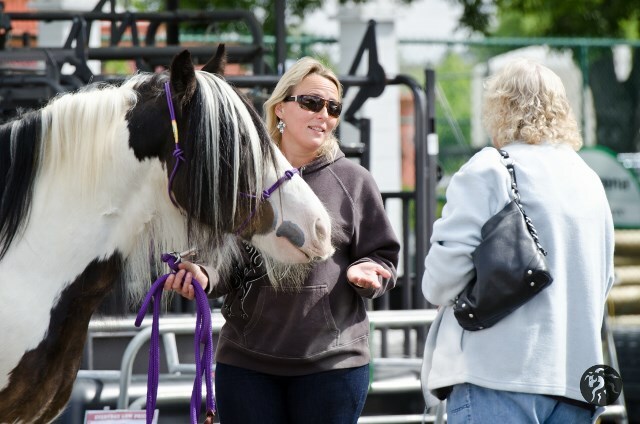 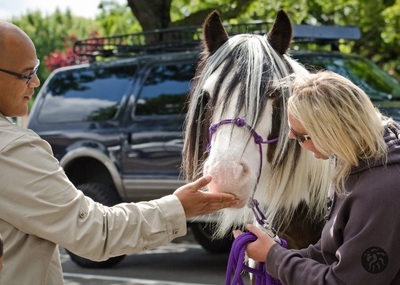 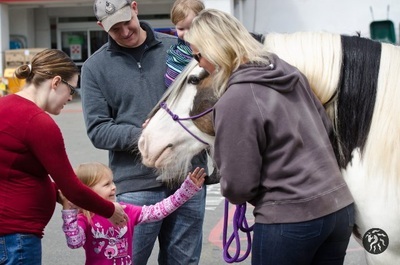 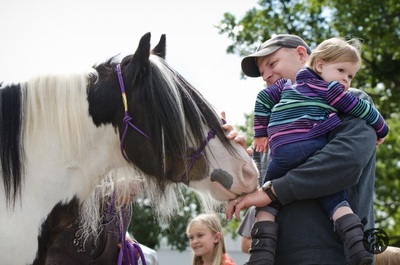 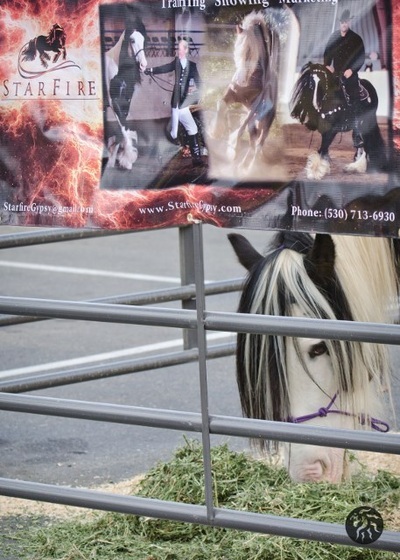 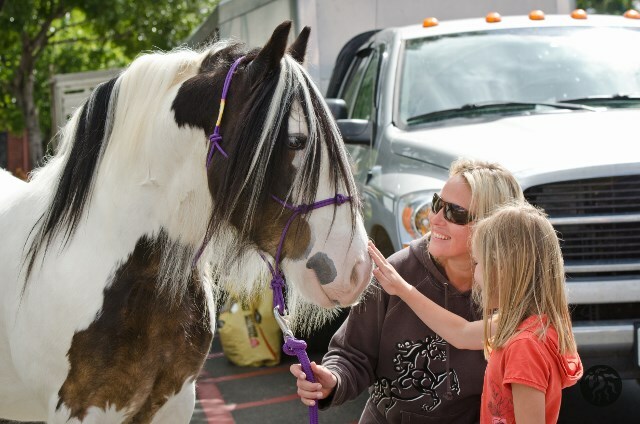 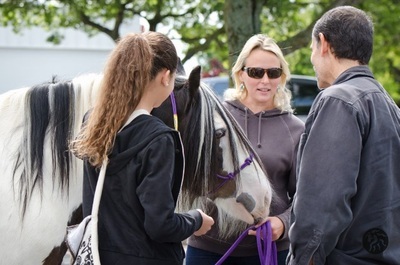 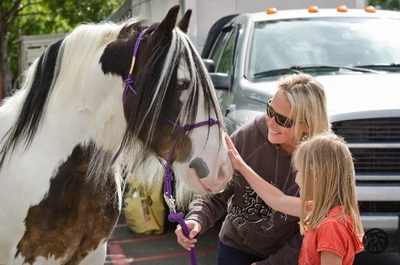 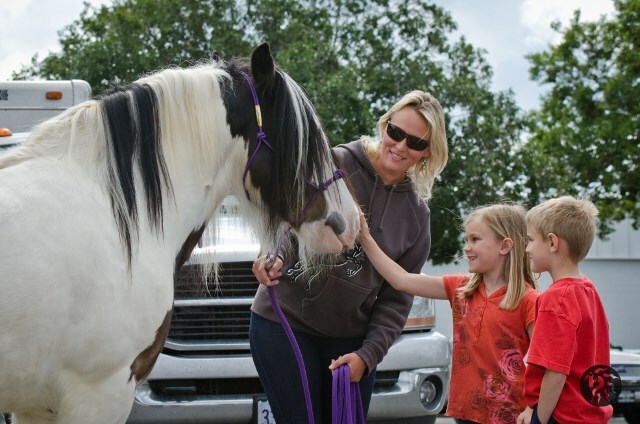 April 26th 2014 marked the First Annual "National Share Your Gypsy Day" and Starfire Gypsy Horses was thrilled to be able to be a part of this fantastic educational event. 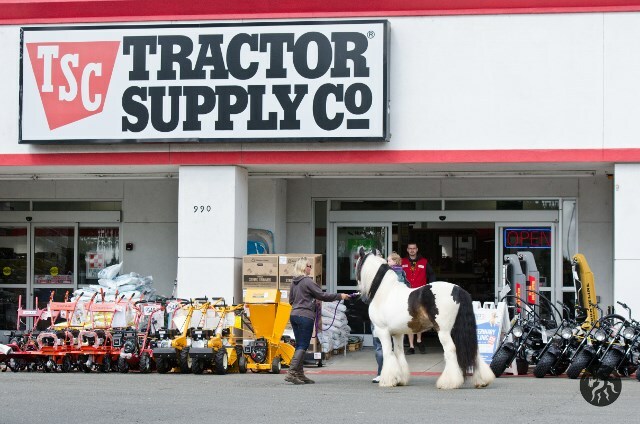 We represented the Gypsy breed at our local Tractor Supply in Yuba City, CA with none other than the phenomenal stallion, SD Murphy. 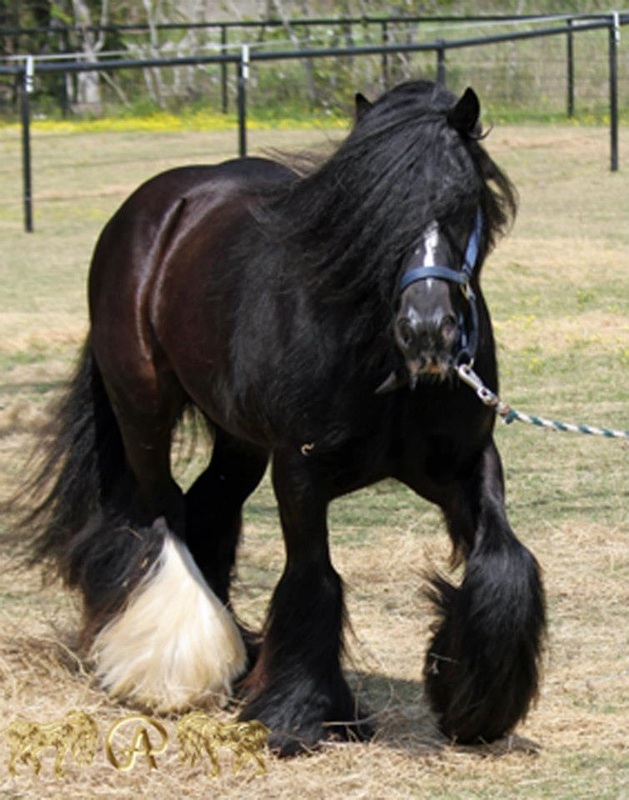 Murphy is owned by our client, Amy Weiland of Cedar Creek Gypsy Horses﻿ and in currently in training with us for the upcoming show season. 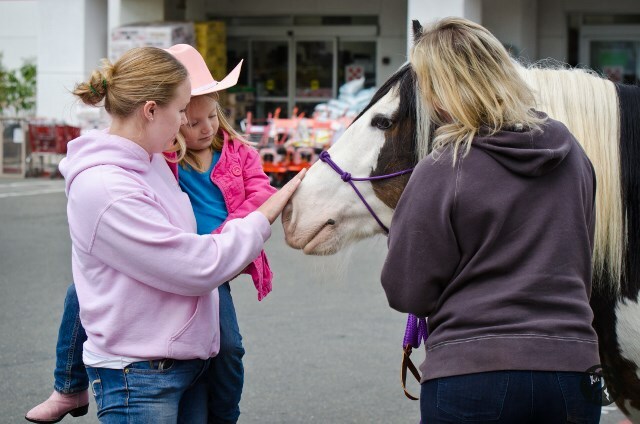 We were invited INSIDE the store as well, and Murphy was a complete and total gentleman. 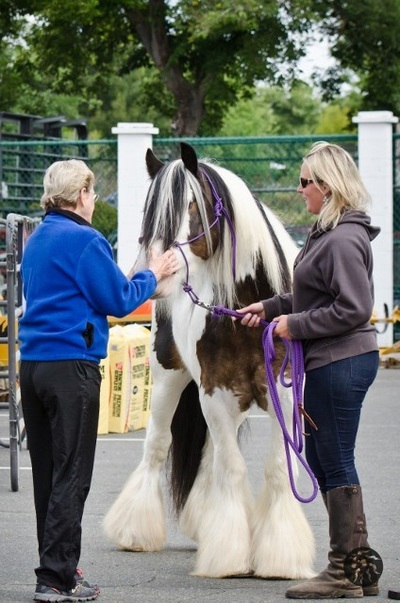 We have been invited back for multiple events this year, and Murphy has truly shown how calm, gentle and ideal this breed is... We are honored and excited to have this AMAZING Stallion in our care, and with his Show Season coming up, we can't wait to see his achievements!!! 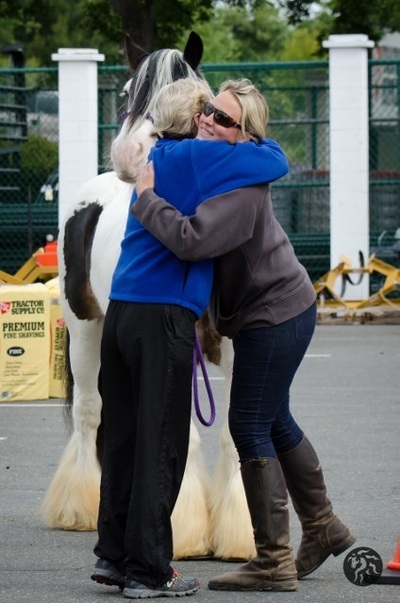 We were very fortunate to have Jamie Mammano of Mammano Photography join us for this event. It is thanks to her that we were able to capture some of these special and treasured moments to share with you. 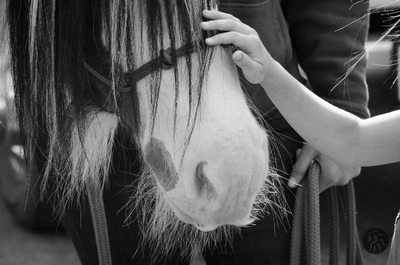 Spring is here and along with it, foaling season. 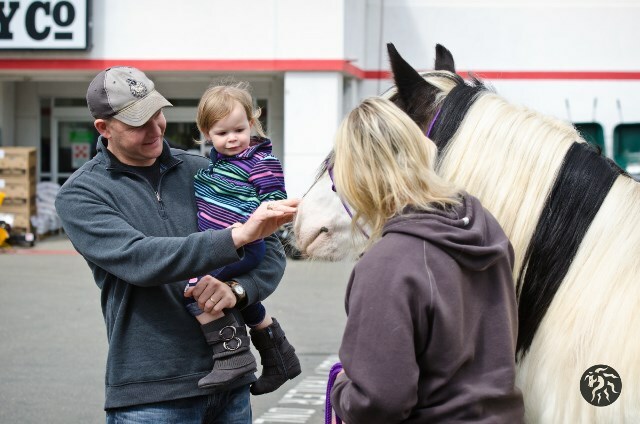 We have been anxiously awaiting this time all winter and it's finally here! 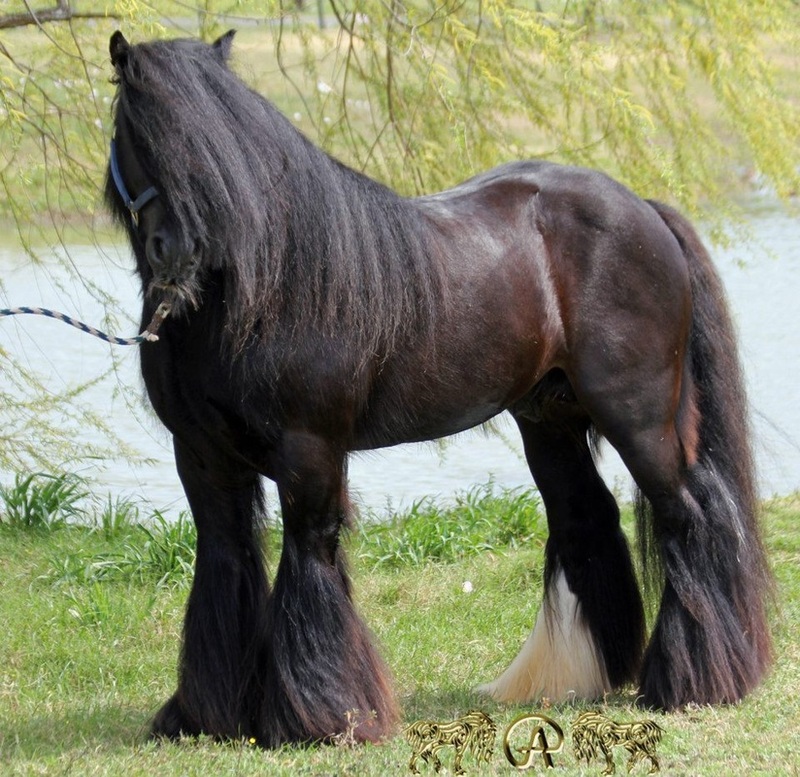 We have three mares that are expecting this year, with the first one being due in the next week or two and the last one being due the middle of May. We would like to take a moment and introduce our expectant moms. 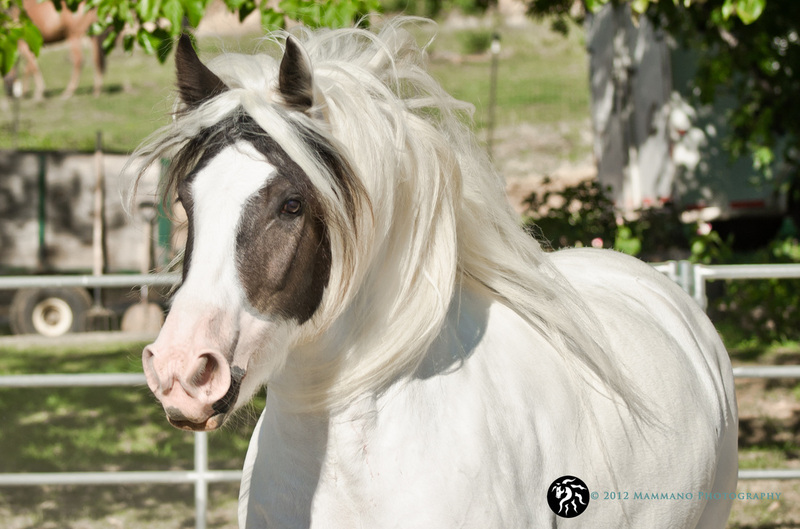 Masque is our first mare due this year. 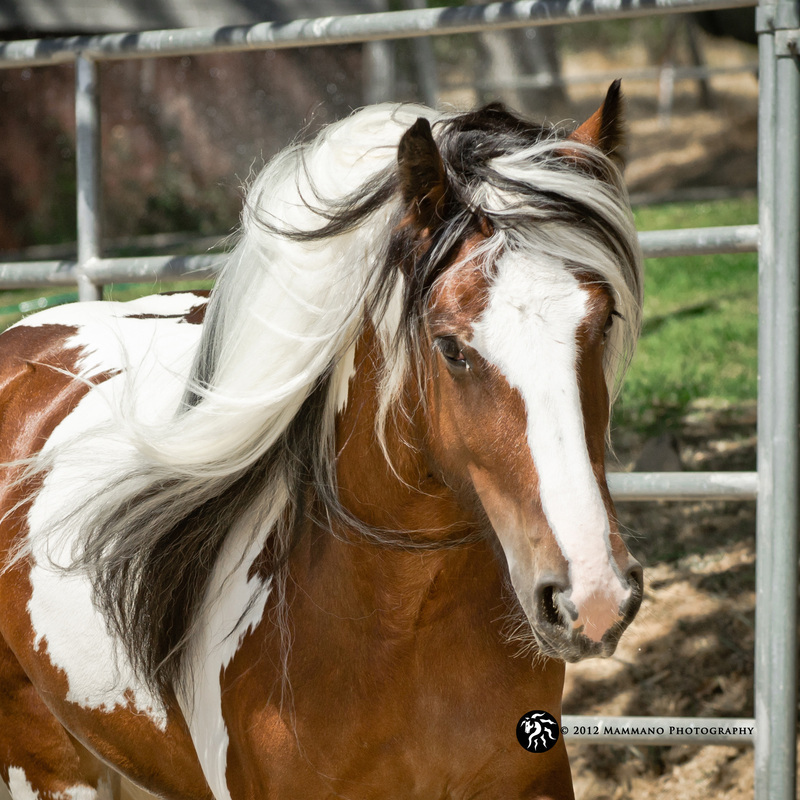 She is a Lenny daughter, in foal to Rock Ranch Bjorn, a son of the one and only Bob The Blagdon! 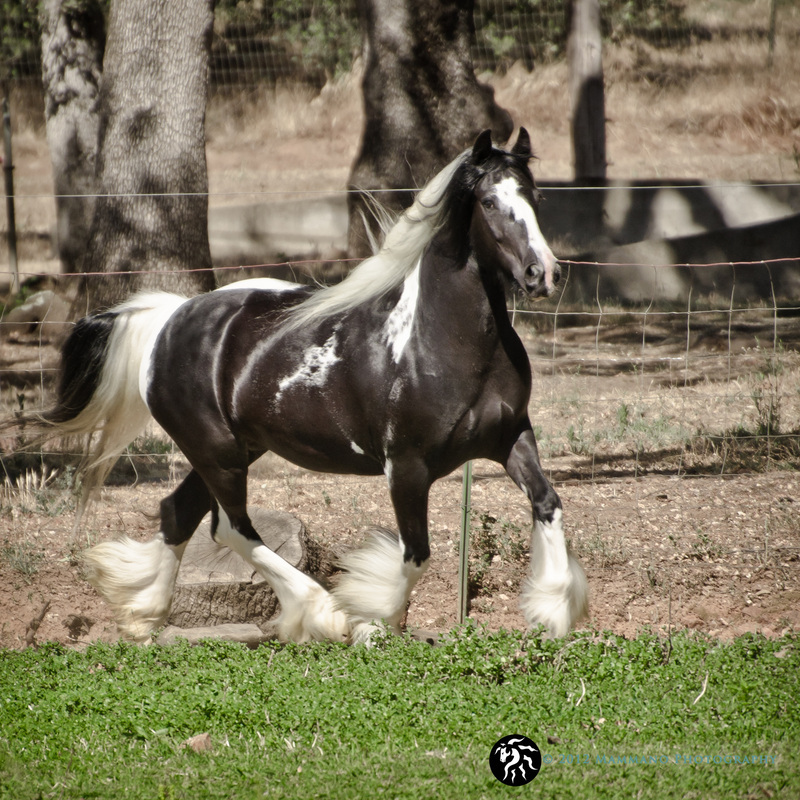 Masque and Bjorn gave us the most amazing colt last year and we were so thrilled with this pairing that we recreated the breeding again for this year! 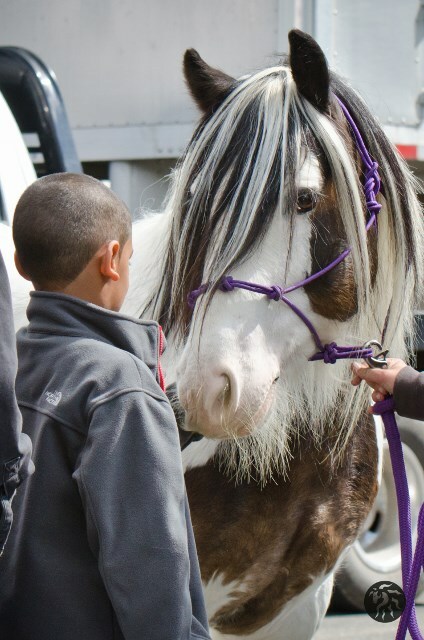 Pictured below is their 2013 colt, Atlas. Roxy is our second mare due this year and she is carrying a very special baby. 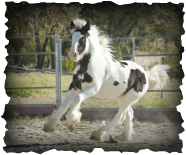 Her foal will be the very first son or daughter of our beloved stallion Starfire's The Five Card Stud (aka Dice), son of Tumbler. 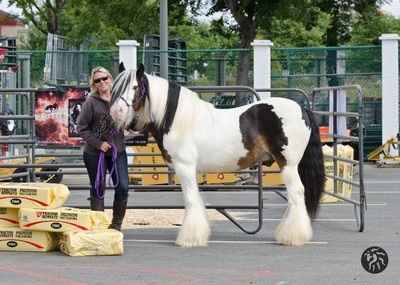 Roxy is an award winning, granddaughter of the famous Nobby and we cannot wait to greet this long awaited foal! 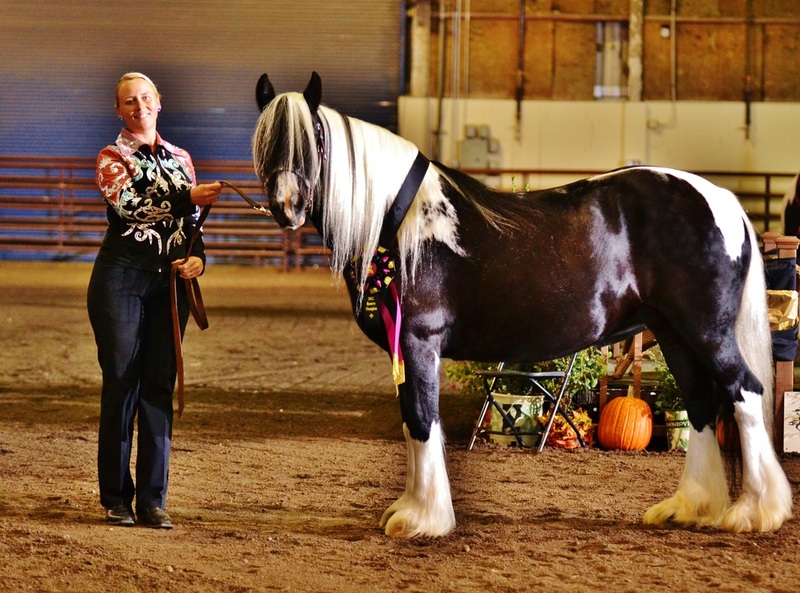 Brackenhill Aunique Solo. 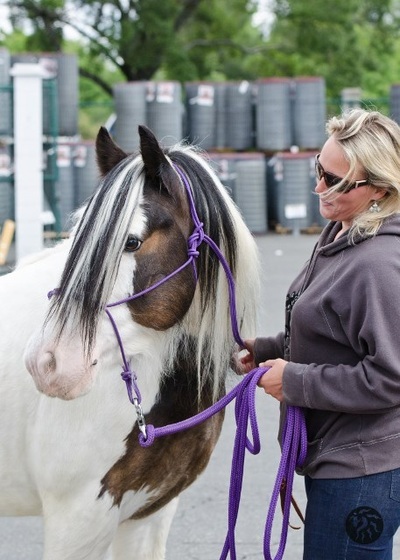 This epic pairing will be one for the history books!